Informant America: Wait! There IS a Wershe police file! No! Wait! Maybe not! Wait! There IS a Wershe police file! No! Wait! Maybe not! Those who read last week’s blog post—A New Foul Odor in the Rick Wershe Case—know I’ve been given the runaround by the Detroit Police Department on whether they do or do not have a file on Rick Wershe, Jr., a man they sent to prison for life for supposedly being the teenaged Godfather of the city’s narcotics underworld, a man prosecutors insist is a menace to society who needs to die in prison. This week another reporter got the same double-talk runaround when he filed a Freedom of Information Act (FOIA) request for what the DPD has—or doesn’t have—on Richard J. Wershe, Jr. The official stonewalling and double-speak regarding Rick Wershe needs to stop. I’m pleased to say a lot of people read the Informant America reports about the travails of Richard J. Wershe, Jr. known in urban legend and media myth-making as White Boy Rick. There have been over 112,000 online page views since these blog posts began in March, 2015. Thank you. This past week, MLive (link to story) reporter Gus Burns followed up on my recent blog post noting the Detroit Police told me via FOIA responses that, a) the federal government did the investigation on Rick Wershe, Jr., even though he was prosecuted in Detroit’s Recorder’s Court and the only law enforcement prosecution witnesses were Detroit cops, and after I pointed out that is so much BS I got another response stating b) they do have something about him—a single piece of paper stating he was sentenced to life in prison in a drug case, and c) well, no, they actually can’t find an actual file on him. MLive is an online service focused on Michigan news and affiliated with several Michigan newspapers. It is a bit like the wire services of yore, only directly accessible to readers. MLive reporter Burns decided to follow up on the ever-changing Detroit Police story about the Rick Wershe file. There were two developments, which he reported. First, the Detroit Police told him they DO have a file on Rick Wershe, Jr.—maybe. "I was advised that we have located a file that may be responsive to the (MLive) FOIA request," Detroit Police Officer Nicole Kirkwood of the Media Relations Office said to Burns in an email. "That file, she said, has been forwarded to the Law Department for review. These games have to stop. A man is spending his life in prison and these people are treating it like a joke. So I have an idea. Why don’t each of you reading this blog send in your own Freedom of Information Act request for the Richard J. Wershe, Jr. Detroit Police file?. I’ll help you do it. I’m serious about this and here’s why. We—all of us—don’t know what happened to the Wershe narcotics investigation/prosecution file created by the Detroit Police Department in 1987/88. It has to be of significant size. The police and the Wayne County Prosecutor’s office claimed in response to my FOIA requests that they no longer have a Wershe file. They told MLive reporter Burns they purge all files after 20 years except for murder cases. Maybe they do. 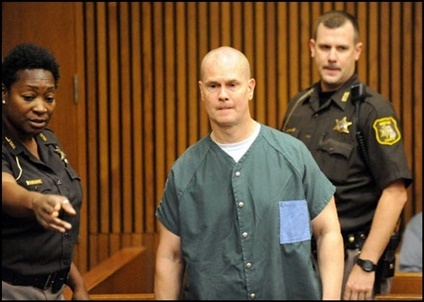 But if there is an evidentiary hearing regarding the issue of whether Rick Wershe truly is a menace to society, the police and prosecutor have nothing—nothing—to present in court or before the Michigan Parole Board to support their vigorous contention that Wershe must stay in prison until he dies. That is, if they are telling the truth that they don’t have any file information on Wershe. But it wouldn’t be a shock if they somehow miraculously found the file if their backs were to the wall in front of a judge. So what if they lied to a couple of reporters about it in response to formal requests under Michigan’s FOIA law? That’s breaking the law, but it’s obvious they pick and choose which laws to follow in their role as law and order representatives. But if fifty, a hundred, two hundred, five hundred citizens ask for the Rick Wershe file and the city sends reply letters to each stating the file has been purged, well, then they are stuck. They won’t be able to magically “find” the missing file. To do so would mean they will have lied to X-number of citizens who asked for it. Think about it. Here’s a chance for each of you to put pressure on these, uh, defenders of justice, and do it lawfully using a Michigan state law enacted for your benefit. Yes, it is your right as a citizen to use the Michigan Freedom of Information Act to ask government agencies for accountability. The concept is called open government. Allow me to help you write the letter asking for the Wershe file. My explanation is going to sound more complicated than it is, I promise. If you have some problem downloading it, I am posting the entire letter below as text in this blog post. You can use copy-and-paste to copy it from the blog and paste it in to Word or whatever text software you use. I promise this is not as difficult as it may seem. I’m trying to walk you through this in a blog post so this process is a bit clunky, but it’s fairly simple. It will be the first item that appears in the Google list of returned searches. The answers to the first few lines of the form are obvious. Ignore item # 3 which is for lawyers or insurance companies. 5. (Name referred to in record) Richard J. Wershe, Jr.
9. Other information: You can leave this blank. Sign it and date it and include it with your FOIA letter. Two pages. To follow is a FOIA request letter you can use. Put the date of your letter at the top. Then just copy and paste the rest and sign it (print your name clearly below your signature) and your return address and drop it in the mail. Two sheets of paper, one envelope and one stamp. Under the Michigan Freedom of Information Act § 15.231 et seq., I am requesting copies of all City of Detroit Police reports and documents, related to Richard J. Wershe, Jr., DOB 07/18/1969. In addition to a general file search it is requested that a specific search be made of the Detroit Police Narcotics Section files for information related to Mr. Wershe. A City of Detroit FOIA Request form for Police Records is included with this FOIA request letter. Mr. Wershe was charged, convicted and sentenced to life in prison in Detroit Recorder’s Court in a narcotics case of considerable public interest. I am a citizen and I am interested in this case. I request that you grant a waiver of all fees associated with fulfilling this FOIA request. As you know the Michigan Freedom of Information Act requires a response to this request within five business days. If duplication of the records I am requesting will take longer than this amount of time, please contact me with information about when I might expect to receive copies of the requested records. If you deny any portion of this request, please cite the specific document that contains material that is the subject of denial and each specific Freedom of Information Act exemption within the document you feel justifies the refusal to release the information. As you know, if a portion of any document is exempt under the Michigan Freedom of Information Act, the exempt material must be redacted and the remainder of the document must be disclosed. This will only take a few minutes of your time. Remember: you have every right to do this under the law. They have an obligation—under Michigan law—to give you an answer. Who knows? If a number of you take the time to stir the pot maybe Michigan’s news media will follow your example in demanding answers about Rick Wershe from officials who can’t seem to find them.